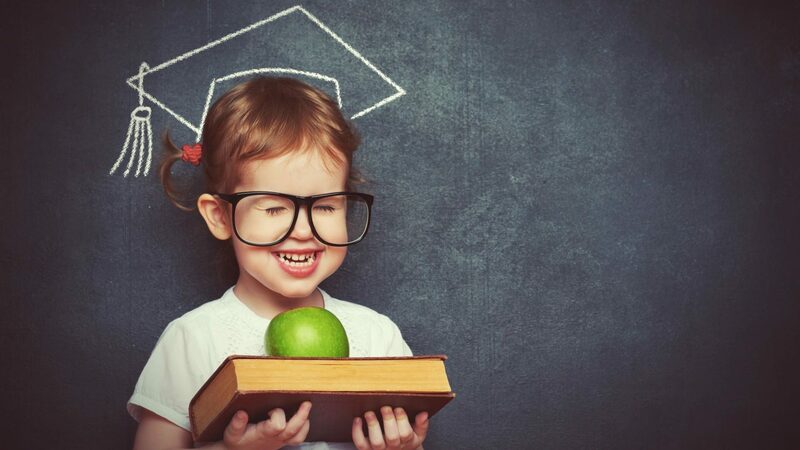 Choosing The Right Tuition center for your child. It is a dream of every parent to provide the best education to their children and make them good human as well. In the last decade or so the trend of private tuition has increased many folds. There are different factors involved in contributing towards the trend of private tutoring. Because of the current changing world system and people feeling the need of private tuition so more and more people have started sending their children to the tuition centre for the exams preparations. Like any other part of the UK in slough some tuition centres offer one to one and some offer group tuition. It’s entirely up to the parents and students that which option they should choose. Now with in this industry some tuition providers provide tuition in small groups like 4 to 6 children per group and some tuitions providers provide tuition in large groups such as 20 or more students in a group. If your child is more sociable and gets distracted quickly then it is best if you can choose for him one to one private tuition lessons. Large groups are generally more structured and during the tuition lessons children don’t get a chance to get individual attention from the teachers where as in small groups it becomes very easy for students to get more individual attention from the teacher. In one to one tuition lessons students get full one to one attention of the tutor. If your child has some special needs and it’s not easy for him to travel to the tuition centre after the school then you can chose the one to one tuition lesson at your home. These kinds of home tuitions are generally more expensive but it comes with its own benefits. During the home tuition sessions you can choose your own timings for the lessons whereas in tuition centre you have to follow the timings of the tuition centre. In home tuition you can get personal 1 to 1 help from the tutor where as in groups mainly in large groups it becomes difficult to get help from the tutors. At www.advancetutors.co.uk we try to give one to one attention to the children. We teach 11 plus, GCSE, KS3, KS2, and KS1 students. Students who received tuition from advance tutors performed out class in their GCSE, 11 Plus and SATS exams. Our aim is to provide quality education on very reasonable prices. Our feedback from our ex-students has always been very positive. We not only provide tuition services in slough but we cover variety of places in and around slough. Most of our ex-students are now working in professional fields. The Power of Brain and High Achievement. People generally inquire about the power of brain and how we can achieve more in our life. Here I am going to mention some of the most powerful rituals which people can install to obtain the extreme achievement in their lives. No matter what your abilities are and no matter what your field of interest or passion is these rituals can literally change your life. Before we go into the details of those rituals it is important to understand that our mind is very powerful part of our body. We can chose to achieve whatever we want to achieve with the power of our mind. We always underestimate the power of our mind which is the biggest mistake which we make. Sometimes we believe that we cannot achieve certain goals because we are not clever enough or we do not have enough energy or resources to achieve those certain goals which are absolutely wrong perceptions. At www.advancetutors.co.uk we believe in hard work and achieving more in less time. Advance tutors provide tuition services for 11 plus students, We also provide 11 plus papers to our students which help students in achieving their good score in eleven plus exams. Our tutors are qualified we also provide maths tuition and tuition for English and science for gcse level. We also conduct 11 plus mock exams. Any way coming back to the power of brain Psychologists agree that we use only 1% of our mind which is the conscious part of our mind remaining 99% we don’t use. Although lots of research has been conducted on the power of brain and why we are not utilising remaining 99% of our brain but scientists have not reached to any conclusion. Although we don’t know 99% of our mind but obviously something is happening there but we haven’t discovered that yet. If we could discover how to use another 1% of our brain then it will bring revolution in the entire human life. No matter how complex the brain system is and how actually it works or how we can utilise another 1% of the human brain but it is also important to understand that whatever humans have achieved in their lives is due to the power of utilising only one percent of the brain. If we can control our thinking and if we can utilise our brain in an effective way then we can achieve the desired goals so quickly that it can literally change our lives. www.advancetutors.co.uk slough Berkshire is the place where children are asked to work hard and use the power of goal setting to achieve their goal settings. In order to live healthy and successful life, the most important ritual which we all need to adopt is that we should stay in our present. What most of us do is that we sometimes live in our past or in our future, and we miss the beauty of present. We need to develop the habit of staying in present. We cannot enjoy our life if we are not living in our present. Especially when we are out for a walk or going somewhere and we are thinking about our past or our future it is not going to bring any positive impact in our lives. Living in present is the key to success. Also here it is very important to mention that when you look at the things during walk or going somewhere do not interpret them or do not . Just see the things as they are. Just look at them and enjoy the beauty in them. Just think about those things with a positive mind and do not let any negative thinking come close to you. The best way to focus on your present is to mute all the background thinking and control your emotions and also keeping the things simple gives you soothing feelings which ultimately produce positive energy which leads to positive results. At www.advancetutors slough Berkshire I have helped many children to achieve better in their academic life and to achieve better results in limited time. Mind exercises Plays a vital role in having a successful life. The best mind exercise is meditation. Meditation increases your level of concentration and pushes oneself to perform better in every aspect of life. Yoga is one of most recommended physical and mental exercise. Your blood pressure drops your concentration level so it is very important to have proper blood circulation of blood in your body, which can be achieved through meditation. In meditation one tries to drain out all the negative thinking from the mind and allows only positive thoughts to stay in the mind. Calm and focussed state of mind is quite productive which can lead to extreme achievement. So in meditation one sits down and pushes away negative thoughts and brings in positive thoughts. So it is highly recommended to do meditation if you want to have elite performance. Now days we are so busy in collecting the information through different means that we don’t use our mental power to use that information and to materialise achievements in our lives. We should use our power of brain to actually utilise that information to gain the practical gains such as good health and financial achievement. Scientists have discovered and identified different methodologies to actually bring into practice the knowledge which we have obtained at different levels in our lives. At www.advancetutors.co.uk slough we encourage our students to do mental exercise questions so that they can increase their mental capacity. Albert Einstein says that imagination is more important than the knowledge. He himself used the imagination in his life to achieve. We should take advantage of what we know in our brain and spend some time on visualizing about what we want to achieve in our lives. Another key rule explained by scientist is to keep your mouth shut and achieve your goals. This idea was given by a popular musician Derek Severs during his presentation at TED. He said that when you share your idea with others then your mind mistakenly starts believing that this goal has already been achieved. This happens because your mind mistakes talking with doing. Sharing of idea during social interaction leads to non-execution of idea. The best policy is to heed your idea and keep your goals to yourself and then you will witness the best results. Another powerful discovery is that smile on your face bring positives effects on your mental health and physical health. Research has proved that facial expressions are representative of an emotional trigger which brings positive changes in your practical life. www.advancetutors.co.uk Your facial muscles prompt your brain to experience those positive emotions. If you try this when you are in the bad mood then you will experience that a positive thinking will start approaching you which will ultimately lead to positive results. Researchers agree that emotional pain is as painful as physical pain but our mind cannot distinguish between these two types of pains which ultimately affect our mood. If you heart some ones feelings it is same as you have damaged some ones bone. The only dilemma is that our brain cannot distinguish between these two types of pains and we start getting negative energy in our brain. So it is very important to understand that when we need to be very careful with our wordings. Our one wrongly used word can ruin someone’s whole day or even life and which can in reverse can lead to a negative effect on us. You can decrease your stress level by controlling your thoughts. There is an ample study available to prove that our mind cannot distinguish between the real threat and the imagined threat but the physical response is the same. So scientists have given a strategy if adopted and implemented can have phenomenal influence on our mind which can ultimately lead to positive results. If imagine for a while that you have a button on your left palm if pressed it will take away all the fears from your mind. So whenever you get negative or fearful feeling just press that imaginary button on your left palm and sit back and take three easy breaths and relax and then you will feel that that fear has vanished straight away. The whole idea of writing this article is to explain that how powerful our brain is, so if we want to increase our productivity and achievement in our life then we need to control the thought process , and stay positive all the time. At www.advancetutors.co.uk we encourage our students to work hard and stay focussed towards achieving goals. Advance tutors are based in slough Berkshire where children come for private tuition. In our tuition centre we focus on 11 plus tuition. GCSE tuition, which covers maths tuition, English tuition and also science tuition. We encourage our students to do 11 plus practice test papers so that they are ready for exams.